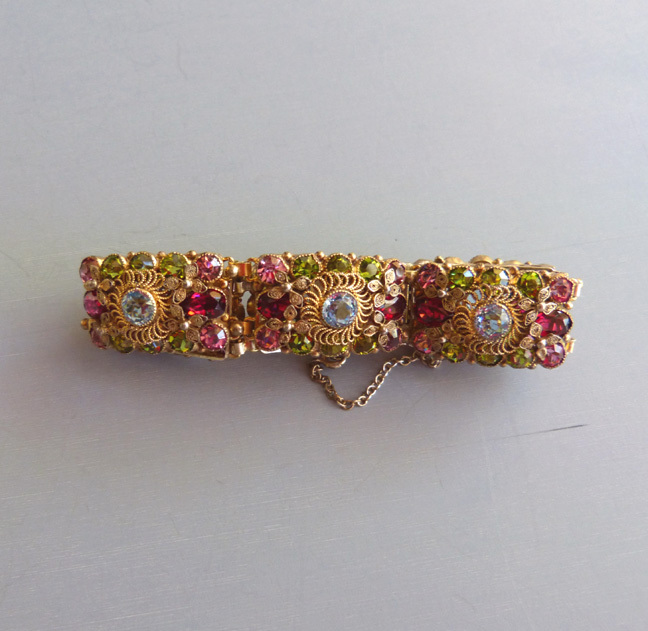 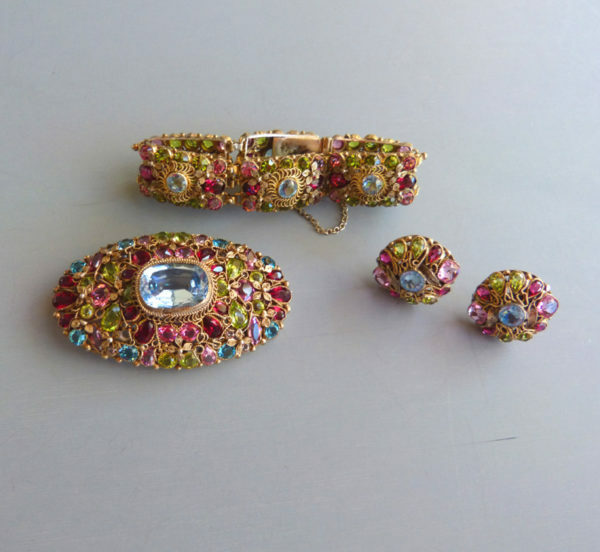 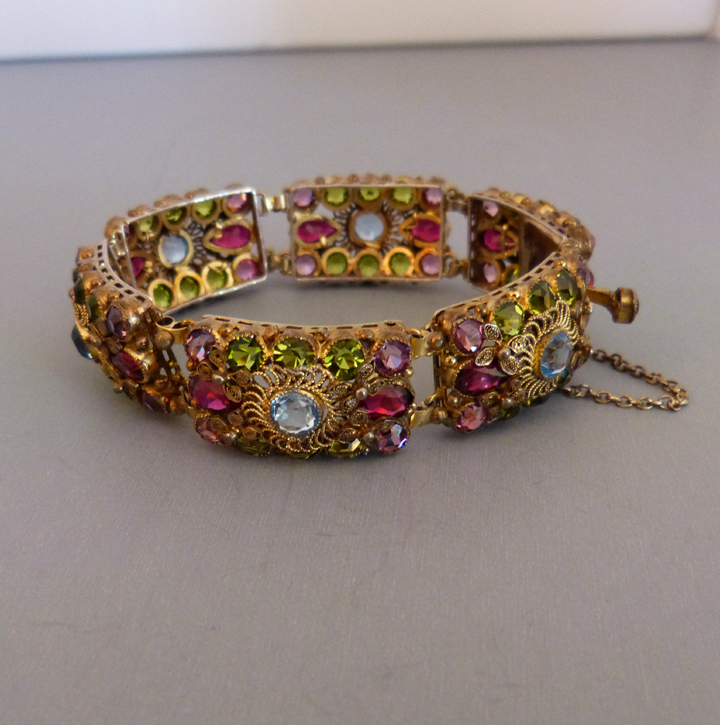 HOBE multi-colored bracelet, brooch and earrings set circa 1940s. 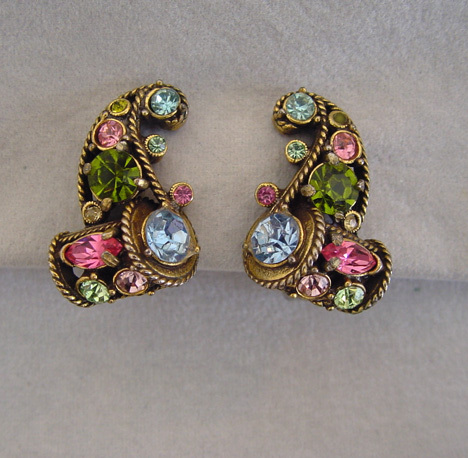 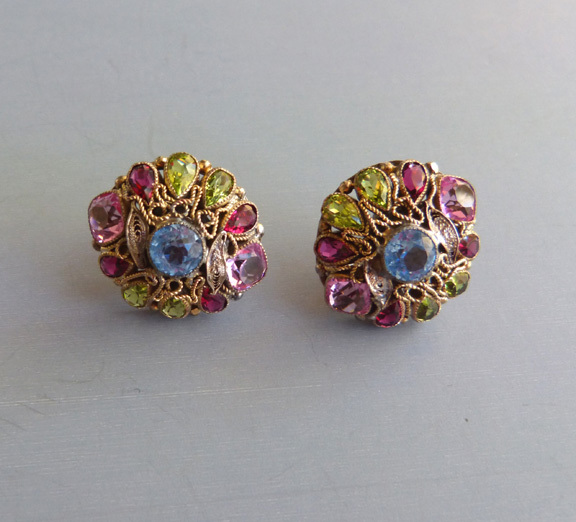 The unfoiled rhinestones let light pass through, and the colors include pastel blue red, pink, aqua, yellow, and lavender. 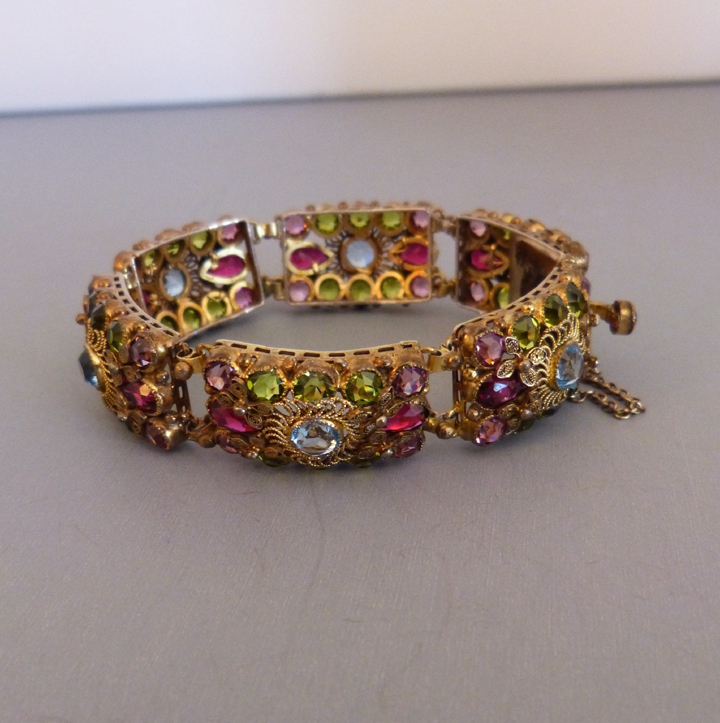 The bracelet is 7" by 5/8"; the brooch is 2-5/8" by 1-1/2"; the screw back earrings are 7/8" each. 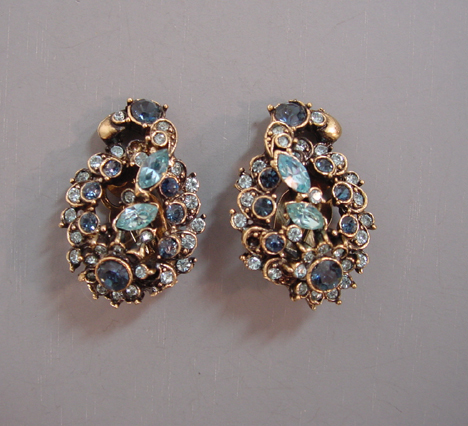 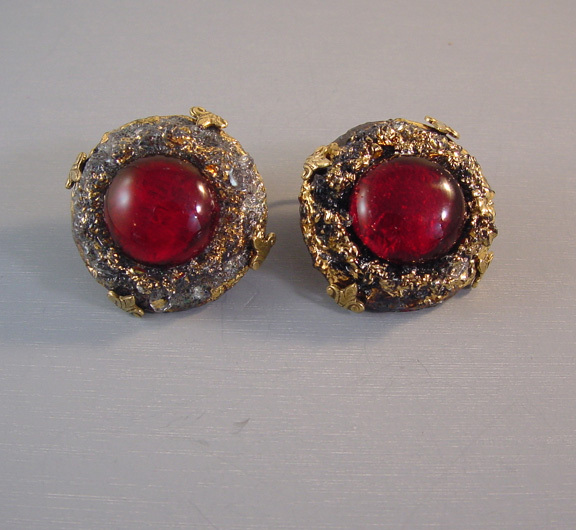 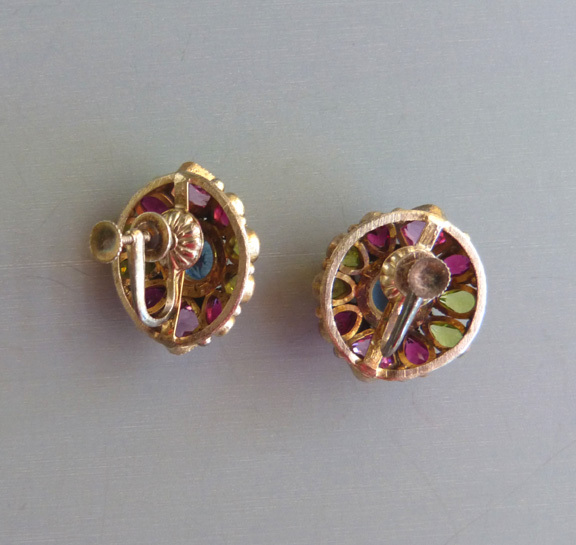 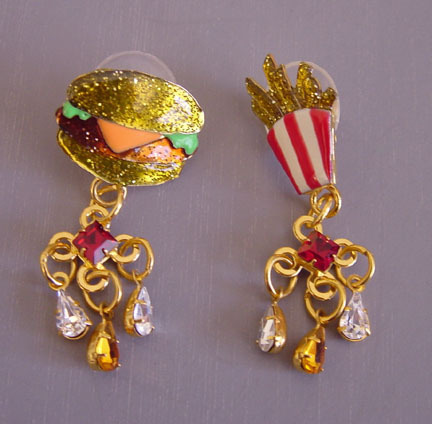 The bracelet and brooch are signed but the earrings are not, typical for this style of earring. 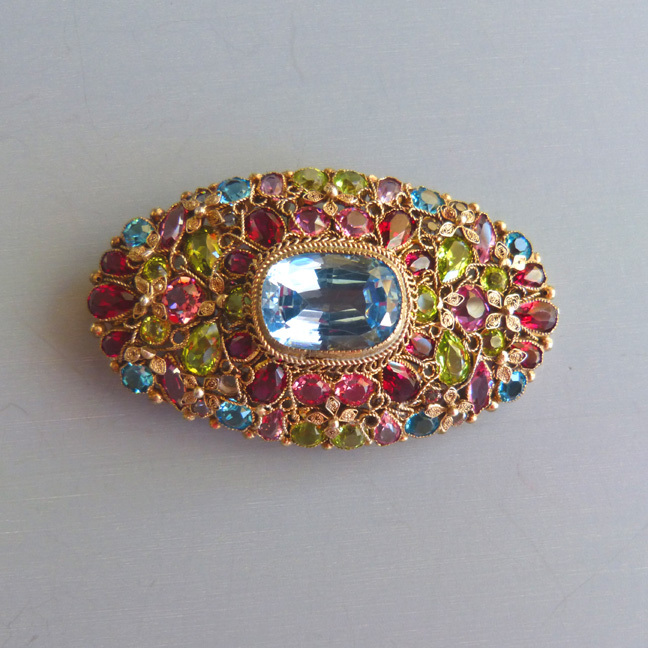 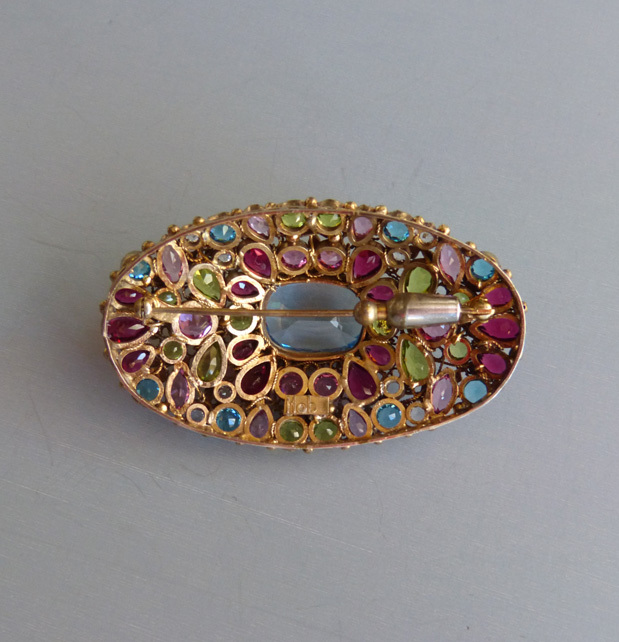 The center pale blue rhinestone on the brooch has a microscopic flea bite at one edge, not even as big as a pencil point and invisible to the naked eye. 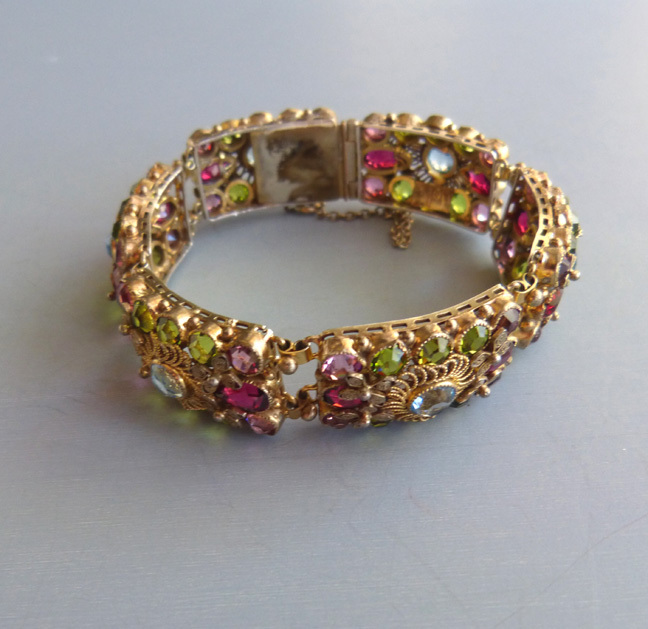 There are a few of the same flea bites on the bracelet, too, so it is priced taking that into consideration, even though they are visible only under a loupe.